Ukraine will ensure the transit of Russian gas to EU countries and hopes for the EU support to introducing market principles in gas sector, President Viktor Yushchenko has said following the 13th Ukraine-EU Summit in Kyiv. Yushchenko emphasized that the Ukrainian gas transit system is capable of pumping twice as much gas to Europe. There are no technical problems, but there are problems with economic principles of organizing gas market. The head of state added that Ukraine seeks 'reorganization of gas relations on the market basis, but not the colonial one'. In his words, Ukraine annually pumps 25 billion cubic meters of gas into own underground gas storages in order to ensure gas deliveries to Europe in winter. The country spends its own money at USD 7 billion for that purpose. "This is not only our problem. There should be no politics: we cannot, as a state, spend USD 7 billion every year to pump gas for the European consumer. We should reach a compromise here," Yushchenko said calling for a professional talk on that matter. Ukraine will prevent the destabilization of the situation with Russian gas shipments to European Union countries, Prime Minister Yulia Tymoshenko has said. She said this at a EU Troika meeting with Swedish Prime Minister Fredrik Reinfeldt, European Commission President Jose Manuel Barroso, and EU Commissioner for External Relations and European Neighborhood Policy Benita Ferrero-Waldner in Kyiv. "No matter how difficult financial and economic problems are, we have managed, in cooperation with international financial organizations, to achieve stability in the gas sector and make payments to the suppliers of natural gas without any delay, as foreseen in the contracts," Tymoshenko said. She also expressed hope that Ukraine and the European Union would draft and sign in 2010 an association agreement and an agreement on the creation of a free trade area. In addition to the existing gas transit system of Ukraine (GTS) it is economically sound to build several new lines. They will cost the future partners in a consortium ten times cheaper than the bypass gas pipelines, says Ukraine's Foreign Minister Petro Poroshenko. "I admit no discussion on the change of the pattern of ownership for the GTS. 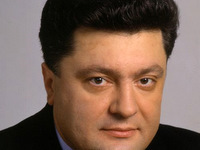 But we have been talking even since 2005 that in addition to the existing GTS, having the capacity of transporting almost 140 billion cubic meters a year, it will be economically reasonable to build several new branches that would cost either the Russian taxpayer or any other our partner ten times cheaper," Poroshenko said. He also added that 'we are ready not just to speak about the format of ownership of a newly-built part of the GTS, but we are also interested in'. According to Poroshenko, negotiations on the creation of this consortium are planned to be launched even next year. He believes that a unified price policy, as well as a multilateral format of gas talks should become a key to solving the current problems in gas sector. The Ukrainian gas transit system annually delivers around 75 billion cubic meters of natural gas for domestic consumers and 110-120 billion cubic meters for consumers in 19 European states.